The signing of a non-compete agreement, to some employees, can feel like just one more document that must be dealt with before employment can officially begin. But these documents are not just insignificant human resources paperwork – non-compete agreements are serious and binding. A non-compete clause makes clear that an employee agrees they will not start a similar business that competes against their current employer, nor will they take a similar job with a competitor or transfer any trade secrets or proprietary information while they are in their current position with you or for a specific period of time after leaving your company. Increasingly, however, more and more employees are entering into non-compete agreements only to secretly build their own competing enterprise against your company, or to sell and market your company’s investment in them to a competitor. 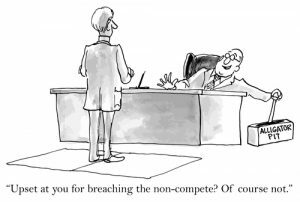 The economic damage that results from blatantly ignoring the rules of a non-compete agreement can be tremendous and reverberate through all levels of your organization, no matter what position the offending employee holds or once held. 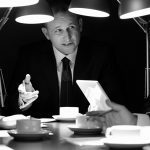 Conducting a non-compete agreement investigation through an experienced private investigator is critical to protect your company. While it is often common to hear people say that non-compete agreements are unenforceable and hardly worth the paper they’re written on, nothing could be further from the truth. Unless the non-compete agreements are unrealistic in time frame or geographic location, or overreaching in the kind of secrecy they require, they are indeed valid and can be used to achieve non-competition enforcement. 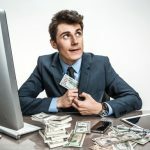 The non-compete agreement can even be used to secure costs and attorney fees from the former employee who is committing the violation, but evidence of this transgression is absolutely needed first. When you discover that an employee or former employee is violating the non-compete agreement they signed, which means they’re essentially violating your company and the trust you had in them, your first instinct may be to call law enforcement or your attorney. Unfortunately, stopping the offender in their tracks is the opposite of what you want to do. Any cease-and-desist or threatening letters sent to the non-compete agreement violator will put them on notice that you’ve been made aware of their underhanded behavior. In an effort to avoid punishment or legal action, they’ll stop or go underground with their efforts. This kind of behavior makes it incredibly difficult to gather evidence and build a legitimate case against them. Before committing to a course of action, no matter how satisfying it may be to catch the offender in the act, contact a private investigator. Not only do we at ASG have a proven track record of developing evidence for non-compete agreement violations, we use appropriate methods to conduct our investigation to prevent the risk of liability to you regarding invasion of privacy. Being too close to an issues that is threatening the well-being and future of your company is a recipe for disaster. You are undoubtedly wrapped up in keeping your business profitable and legitimate, which means it can be tempting and very easy to act rashly in an effort to safeguard your business. Take the information you have gathered and share it with us. ASG is not only able to build an actionable case for you to see justice and non-competition enforcement, we are able to identify others who are involved in this behavior along with third-party witnesses. Through a combination of surveillance, background information collection, interviews, computer and cell phone forensics, open source data mining, and more, ASG produces a complete non-compete agreement enforcement investigation to support your recovery options. 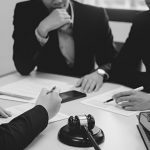 These same techniques can be invaluable in investigating violations of restrictive covenants and trade secret agreements.